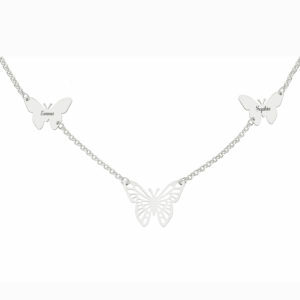 A silver necklace with personalised butterflies. 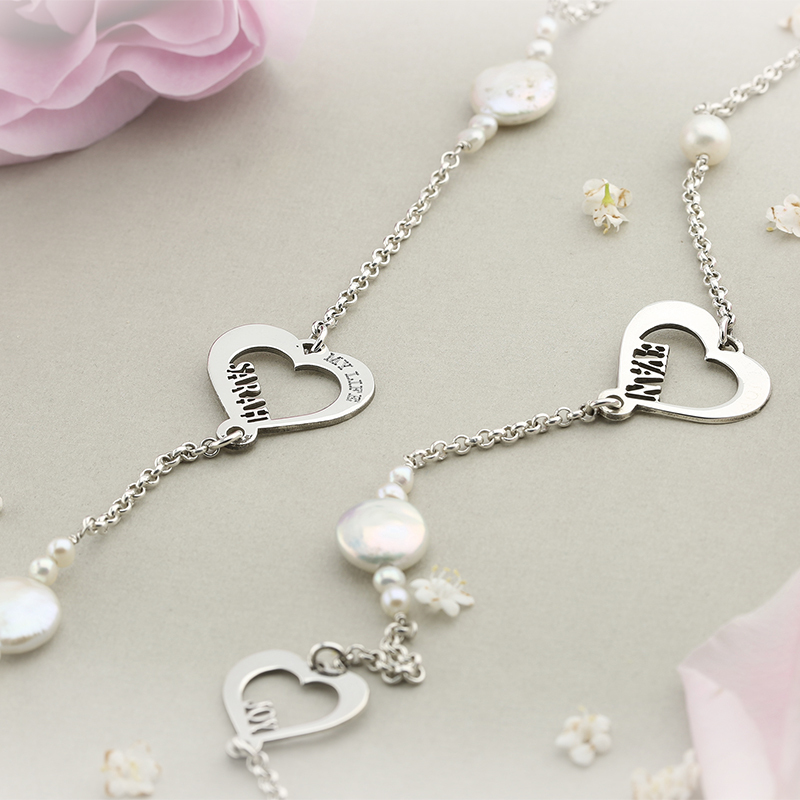 A silver chain with pearls and personalised hearts. 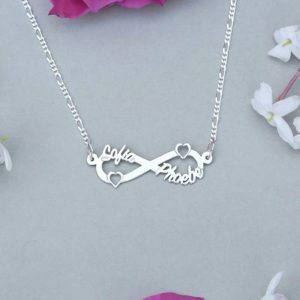 A Heart Infinity Silver Charm Silver Heart Charm with an engraving of your choice. 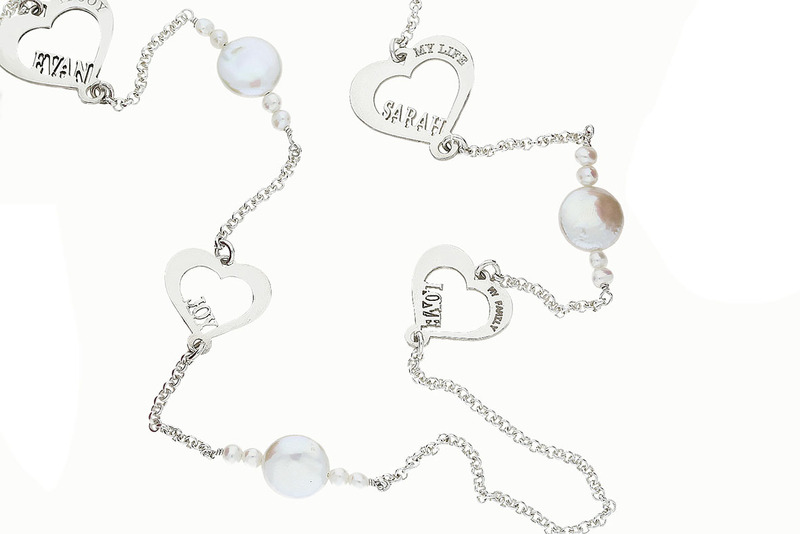 Home / Collections / Valentines Collection / A silver chain with pearls and personalised hearts. A necklace with 2 Small Silver Personalised Hearts + 2 Medium Silver Personalised Hearts with 70cm Chain + Pearls. 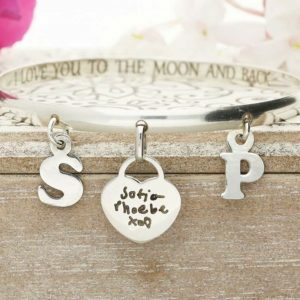 Choose the name to place inside. 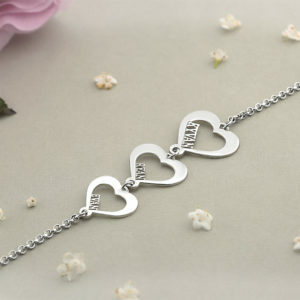 Available in 18ct and 9ct yellow gold. All charms are weighty and strong. 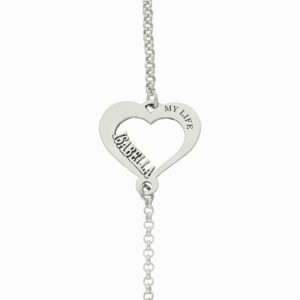 1 review for A silver chain with pearls and personalised hearts. 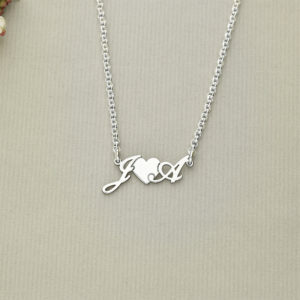 Lovely, beautiful. 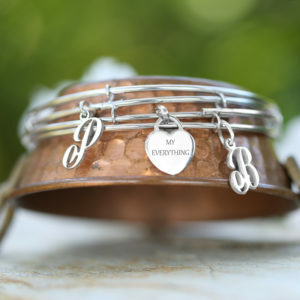 Perfect gift to buy and receive ? ?? 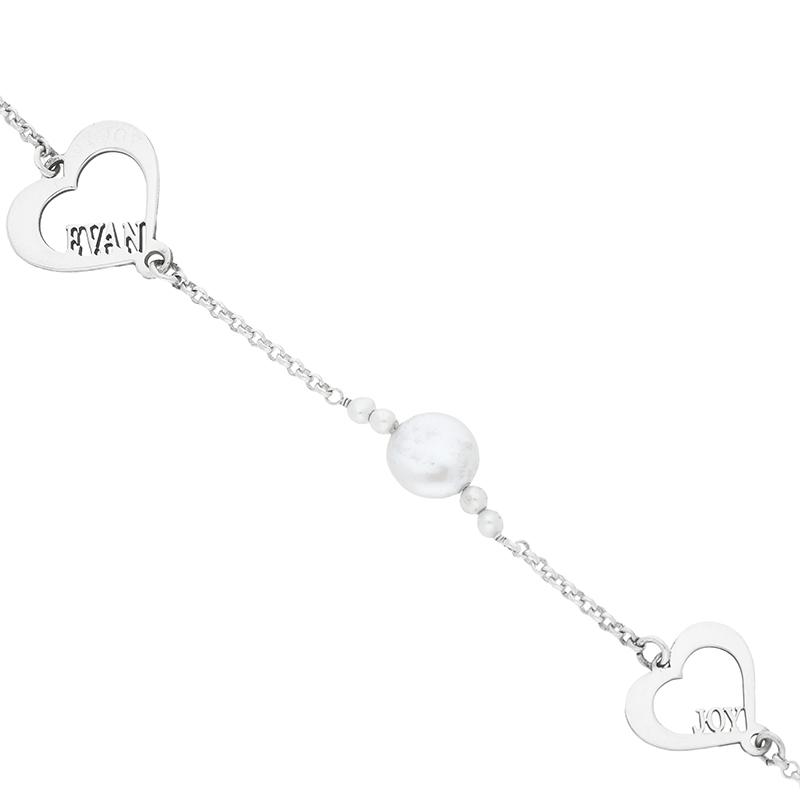 A bracelet with personalised hearts. Choose the number of hearts. 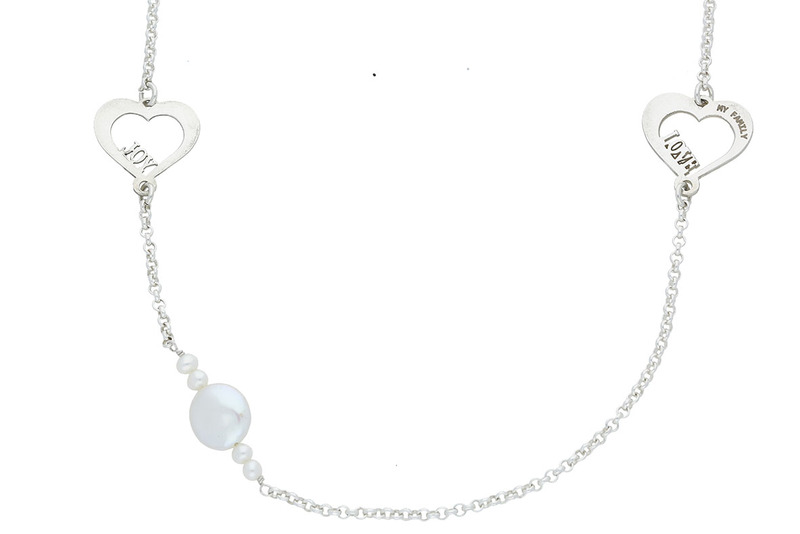 All charms are a thickness of 1mm so they are weighty and strong.